By Francis Williams, Port Harcourt French Prime Minister, Francois Fillon has reiterated the commitment of his country to partner with Nigeria in the area of economic and technological development. The French Prime Minister who disclosed this at the end of his one- day official visit to Port Harcourt, the Rivers State capital disclosed that despite the state of insecurity in the Niger Delta region, French conglomerates have continued to strive and make meaningful contribution to the growth and development of Nigeria in the area. Francois who also disclosed that the French government is prepared to assist Nigeria in tackling the seemingly unending crisis in the restive region, said the decision is borne out of the conviction that a genuine partnership would lead to technological transfer and by extension the development of the region. The Prime Minister who stated that since 2005, Nigeria has witnessed an influx of operational French conglomerates, especially in the free zone, disclosed that a 15 year energy plan has also been entered into between his home government and Nigeria. 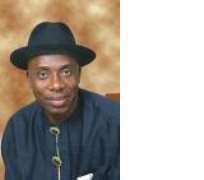 Earlier, the Rivers State governor, Rotimi Amaechi told the Prime Minister that the Rivers State government is willing to partner with the French Government in a bid to enhance the socio- economic status of the state.